The event will cost $40 to enter and the format will consist of 9 qualifying rounds followed by head-to-head final rounds. The schedule of rounds, players, and machines for the qualifying portion of the tournament will be determined from random placement in preset brackets. Due to the necessity of configuring brackets and printing tournament material, there will be a designated registration period in advance of the tournament. This will be the only way to register for this event! The registration period will close at noon on October 30th, and will then enter limited registration to round off the bracket. Paypal is the recommended form of payment. Games and player configurations will be randomly assigned prior to the event so that everything can run itself with ease. Everyone will draw a number from a hat (the morning of) to see where they are placed within the matrix of players and games. Other than treasury duties (i.e. dealing with money), this tournament will be run by the players, including finding your next match, deciding order, keeping score, recording score and handling any issues that may arise during each match. 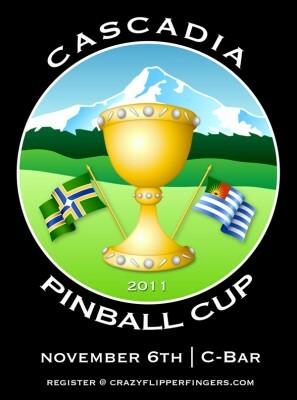 Each player will be guaranteed 9 rounds of 4 player matches before the top 12 contestants move on to the final rounds. We will try to make sure you are playing with a new group of 3 and a different game for all 9 rounds. Each match will be recorded with the winner receiving 4pts, 2nd 2pts, 3rd 1pt, and 4th will receive 0pts. The finals however are going to be different. First off, 12 players will advance with the top 4 getting a bye. In case of any ties at any rank there will be a one game playoff with the winner/winners receiving the higher rank. Rounds will be played best of 5 head to head matches. Games and play order will be chosen by players in alternating order with the highest seed receiving first choice of machine or position. Final rounds will proceed in a single elimination fashion according to the final rounds bracket until there are 4 standing. These 4 remaining players will then go back to group play over 5 games. The higher seed will have choice of 2 machines while the other 3 players will each choose 1. Once the machines are picked the highest seed will have choice of machine or position. After the first game the winner will then have choice of the remaining games or position. There will also be a single 4 player game between the 5th-8th players to determine their final rankings.